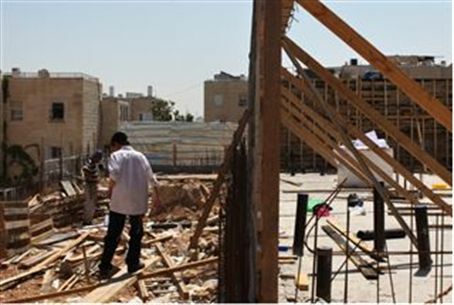 The international community calls on Israel to freeze construction in areas of Jerusalem claimed by the PA for its hoped-for state. France, Russia and the U.S. are calling on Israel to freeze construction in all areas of Jerusalem claimed by the Palestinian Authority for its hoped-for state. The French Foreign Ministry expressed “deep disappointment” Saturday over a municipal decision to move ahead with the sale of 240 plots of land in the neighborhoods of Ramot and Pisgat Ze'ev. Both neighborhoods are located on the northern edge of the capital. The Israel Lands Authority and the Housing Ministry together this week announced the sale of a total of 4,000 plots for the construction of housing units, only 240 of which were in Ramot and Pisgat Ze'ev. French Foreign Ministry spokesman Bernard Valero expressed concern that the approval of the tenders would damage chances of renewing direct talks between Israel and the Palestinian Authority. “France calls on the Israeli government to reconsider the decision,” he said. However, U.S. Representative Gary Ackerman (D-NY), meanwhile, bluntly expressed his strong support for Israel's right to build housing in its capital. Jerusalem neighborhoods such as Ramot, Pisgat Ze'ev, French Hill, Ramat Eshkol, Gilo and others, which have been home to tens of thousands of residents for more than 40 years, are referred to as “settlements” by the PA .